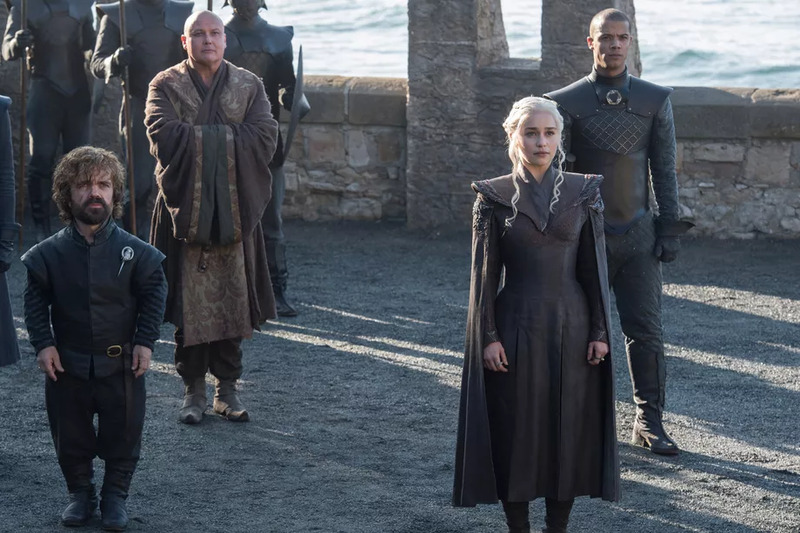 It’s Game of Thrones season folks, and the events of the past six seasons are all starting to fit into place ready for the final two, surely with dire consequences for many. Someone who can’t seem to grasp the consequences of her actions is Cersei, new Queen of King’s Landing thanks to her infanticidal mass murder last season. After the death of patriarch Twyin Lannister, the family’s allies are slowly dwindling, and their political might is diminishing, but she really doesn’t grasp why she’s in such a weak position strategically. That is made evident in the latest episode during her conversation with her brother Jaime. 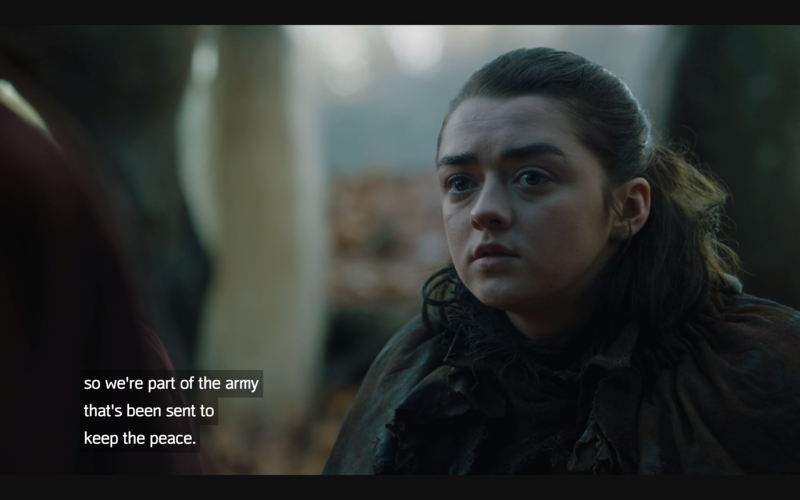 He has to literally spell out to her why the army can’t sustain attacks from the new King in the North Jon Snow as well as from the ever approaching Dragon Queen Daenerys Targaryen. 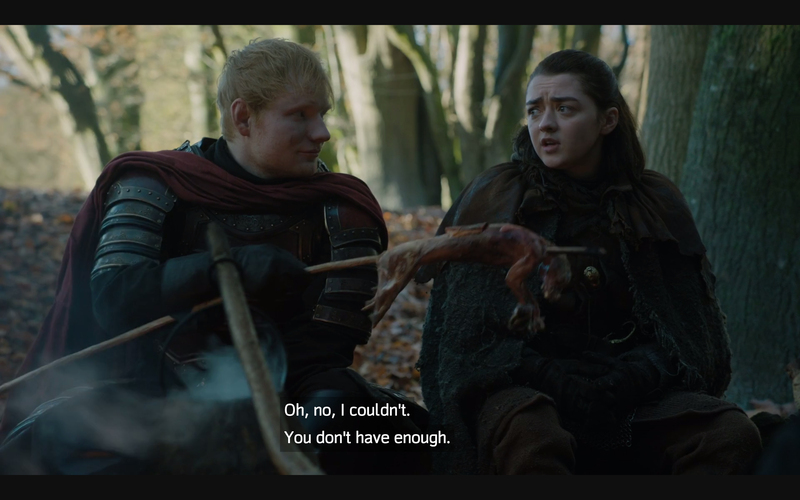 This is none more pronounced than in the scene where Arya – sister of Jon Snow and master assassin – meets the small band of Lannister soldiers, the one with that really weird Ed Sheeran cameo. I mean come on, was that really necessary? 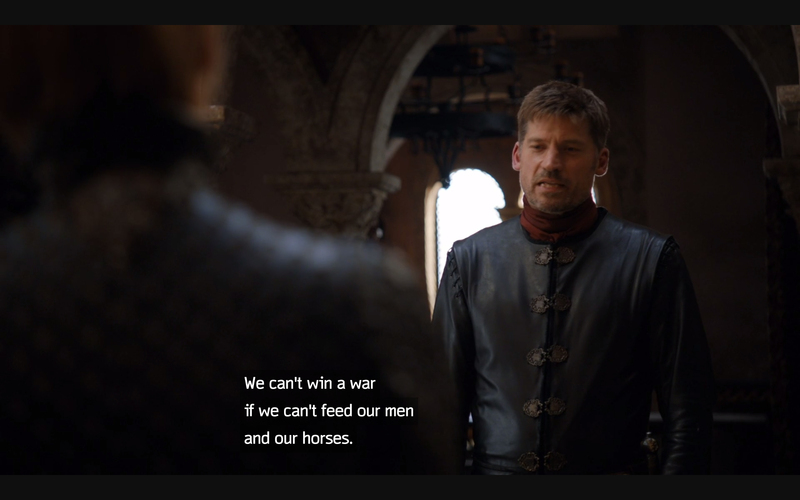 Anyway, Imgur user fantomknight1 has perfectly explained why the scene really illustrates the point Jaime was trying to make. The soldiers are there to ‘keep the peace’, which effectively means to make sure that none of the remaining Lannister allies die. They are starving, and tired, and hardly in fighting condition. Later in the scene, one of the soldiers explains how when they came away at the beginning they were itching to get away, and now they’re itching to get back home. They are done with the Game of Thrones. When the Lannisters started this war, they were the predominant power within Westeros. Now they can’t even afford to feed their own soldiers. This would be a pretty obvious thing and it’s worrying for Jaime that Cersei can’t see it. 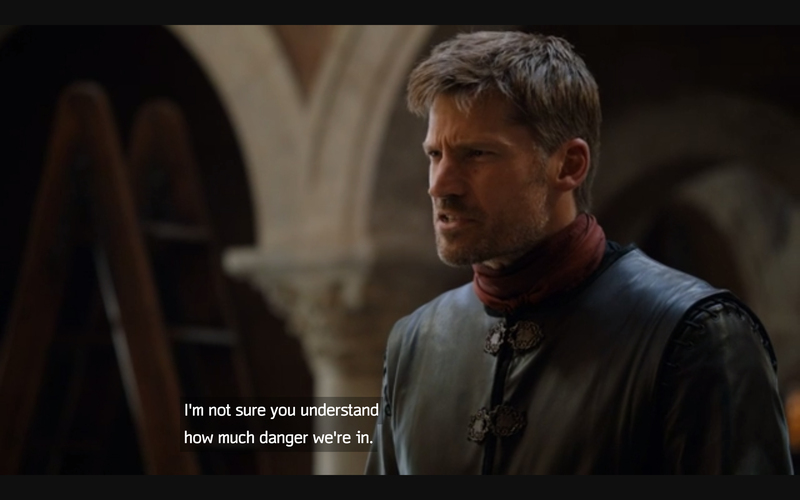 Cersei wants to fight everyone and push full steam ahead but Jaime sees things how they really are. The Lannisters can’t win this war. I’m calling it now, Jaime is going to kill Cersei, let’s just hope he kills Ed Sheeran’s character so we never have to deal with that ever again.